From a still photography standpoint my technique is rather simple. I shoot handheld with a telephoto lens, most often my Nikkor 70-200 f/4 VR with my D800, sometimes even adding my TC-17E II teleconverter for extra reach when needed. If I am out with my Nikon 1 V2, I usually use the 1 Nikon 30-110 f/3.8-5.6. I always try and shoot with white balance set for direct sunlight, cloudy, or shade depending on the individual conditions. I never use a flash or drag a tripod around with me. I also never manually adjust the position of any flowers or plants, trying instead to find the exact right viewing angle, background and lighting conditions that appeal to my sense of color and balance. I prefer using my D800, because of its incredible resolving power and good low-light capability, as it is often difficult to shoot at low ISOs. That’s not to say that one should never use a tripod and a proper macro setup – ideally, that’s what you want to use to get the best results. My setup works for me, because it gives me flexibility to move around and change angles very quickly – crouching, lying on my belly, and sometimes putting myself in contortionist-like positions are often required in order for me to get the shot I want. Also, since I am often on private property during a garden tour, it is inappropriate to bring a tripod, blocking pathways, and otherwise inconveniencing homeowners and other visitors to their gardens. One of my favorite times to do this type of photography is right after a light rain when colors can be very intense and the plants still have water droplets on them to add some additional interest. Partially cloudy or overcast days are much preferred over bright, sunny ones. I find using a long telephoto lens helps me better isolate individual flowers that may be buried towards the back of a flower bed or in a similarly awkward position, which makes them inaccessible to photograph with a shorter lens. Using a telephoto lens makes this type of photography faster to do, and much more discreet. Image stabilization / vibration reduction obviously helps a great deal when shooting hand-held. 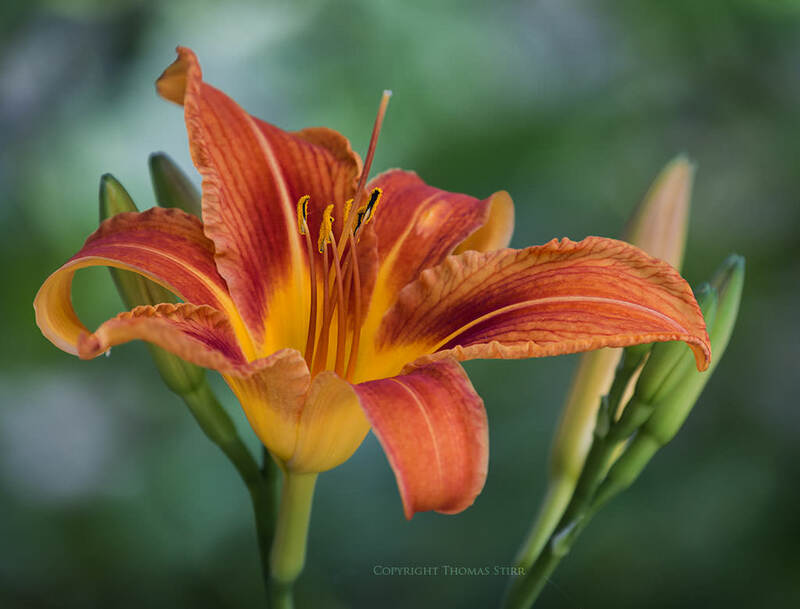 As we are getting into much warmer temperatures in the northern hemisphere, I would encourage our readers to experiment with some flower photography using telephoto lenses. It will teach you a great deal about distance, depth of field and subject isolation capabilities of your setup. Start out with a very basic setup – it does not have to be expensive. A 55-200mm or a 70-300mm lens would be very suitable for this type of photography. Lenses with a short “minimum focus distance” are ideal, because they allow you to get very close, while still maintaining the ability to focus. Get close to the flower you are about to photograph, set the focal length of the lens as long as possible for shallow depth of field. Next, set your camera to Aperture Priority mode with the lens aperture set to the smallest f number like f/3.5 (might be f/5.6 at long focal lengths), turn Auto ISO on, turn on Image Stabilization / Vibration Reduction and you should be ready to go! At very close distances and long focal lengths, you might find large apertures to create very shallow depth of field, which might only bring a very small portion of the flower in focus. If you want more in focus while still keeping the background blurry and smooth, make sure that the background is clear of other flowers / objects, or they are in the distance. Next, start increasing your f number (say from f/5.6 to f/11) and that should do the trick. If you are very close at “macro” distances, you might need to increase the f number even more! If you have experimented with photographing flowers before, please feel free to share a link to your gallery or photos below! Great post! I’ve always enjoyed making photos of flowers, mainly with a macro lens. I’ll have to try the telephoto approach for variety. Thanks for sharing your gallery! Great selection of images with a nice mix of subjects, angles and lighting. 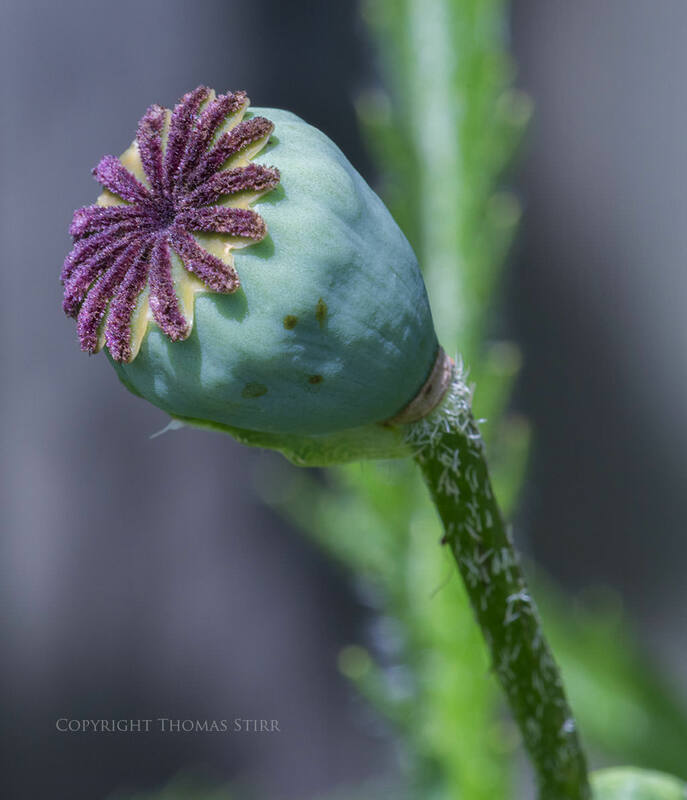 You have some very nice macro samples as well….which is great for our readers to see some of the unique perspectives that come from using a macro lens. 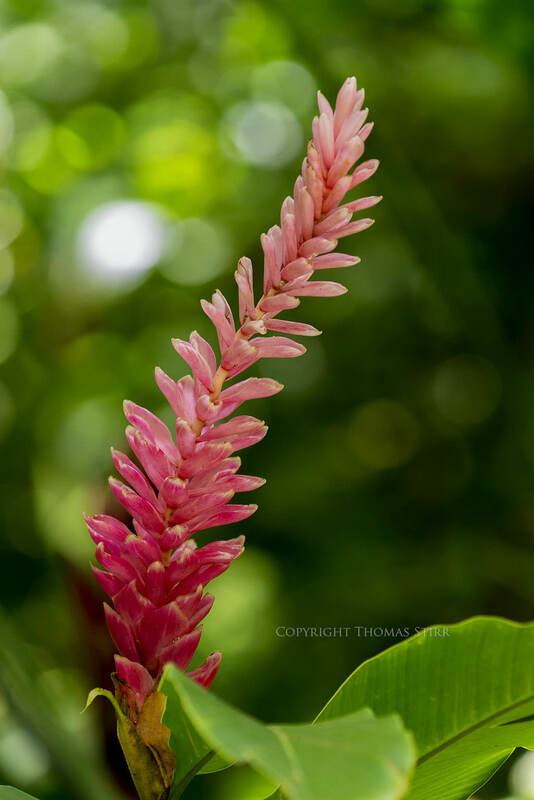 Very nice photos Thomas. 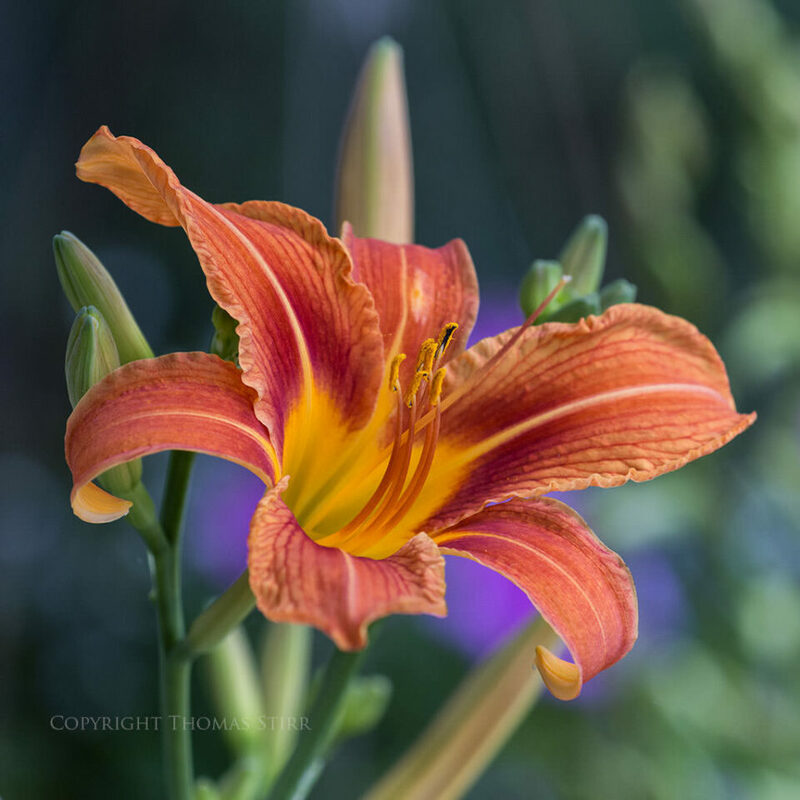 In my floral photography, I have gravitated away from using my long telephoto lenses and now shoot with a macro lens, sometimes even adding an extension tube. I like getting REALLY close to flowers. But I appreciate your use of the hand held and no flash, as well as not altering the flowers! This too I agree fully with!! But great photos. I might have to play around with the telephoto again come spring here. Thanks for your comments….much appreciated. I have used my Nikkor 105 Micro f/2.8 to do floral photography and it does bring a very different perspective to images. As I mentioned in my post, most of my floral images are captured during garden tours where the time allowed to take photos can be very compressed and I often cannot get really close to particular specimens to use a macro lens. I’ll have to try and make some time in my schedule to start doing more work with my macro! Your comments reminded me about how much fun it can be to use that type of lens. Hi Thomas, I recently changed my walkabout lens from the 18-105 vr to the new 18-140mm vr. Apart from the sharpness improvements for general photography, this lens has a very short minimum focus distance of 18″ / 450mm. Taken with it’s VR2, and the 140mm setting, this provides a 1 : 0.23x magnifications. While not a ‘macro’ (1 : 1.0 x) , as far as DX users are concerned, this is THE lens to go for if you’re not a dedicated macro photographer (ie 50% or more of your shots). It performs well with extension tubes and the flower images you have posted would be possible using the bare lens – a tube, or tubes would be needed for smaller flowers / closer shots of larger flowers. Nonetheless, DX users can benefit from ditching their old glass as this one gives a better range and resolution over the 18-105 (and of course the 18-55) and that 18″ close focus distance allows a toe in the water to those wanting to try out macro before spending out on specific, dedicated lens or lenses. Our local council have a large greenhouse area in our largest local park – they propogate bedding plants for the city in the same place, but some of the greenhouses are used for orchids and other tropical species, so that may be a place for newly interested macro plant photographers to get traction. Be sensitive to others though, don’t go wandering in with huge tripods, access is not generous and you could annoy others – leading to complaints, and the banning of such equipment in the long term. If the light is that bad, try a monopod which takes no floor space and is ‘nearly’ as good. VR2 in the 18-140 will give you great results, and the new high res bodies touting 24 Mpix can be used up to 800 iso with little degradation, if any, on the resulting shots. I use DXO Optics Pro 9 with it’s new ‘prime’ noise reduction, and once it has worked it’s magic, you would swear iso 800 shots were actually iso 100. If money is tight, to get you started, there are close up dioptre filters, but these can cause edge sharpness problems – in macro, that is usually ok, for plants anyway, but if you are shooting a flat object (eg a postage stamp) you may be struggling to get edge to edge image quality, hence the need for Ext. tubes. 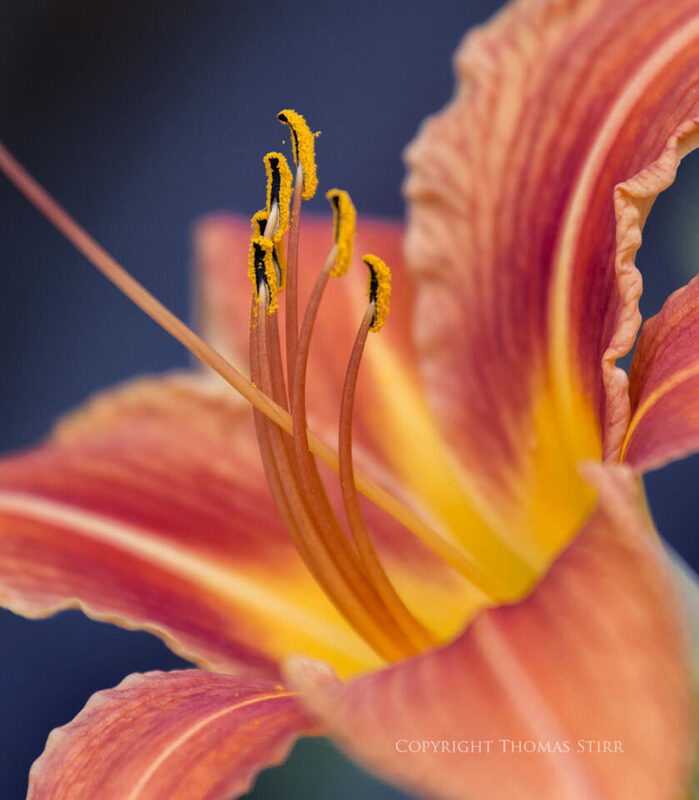 Whichever way you go, macro is a fascinating pastime, and Thomas is thanked for his images, and reminding us that wherever you are, you can still get great images, even in the most boring landscape areas, simply by looking at the ‘macro’ world at our feet. Thanks so much for sharing the additional tips and comments about your new 18-140mm VR lens. Great stuff! By the way, I did check on the differences between OpticsPro 8 and OpticsPro 9….it turns out the ‘prime’ noise reduction is a new feature in OpticsPro 9. Your experience with this software definitely has me thinking about upgrading to the latest version. Thanks as well for your comments about using tripods in public buildings etc. It’s a good reminder for all of us to check in advance to see what is allowed at these types of venues as many of them do ban certain types of equipment like tripods. Here’s a photo I took with my macro lens. Thanks for sharing your macro image….it is a great example of the beauty that can be found indoors if we look for it. This image, and some of the ones in Nelson’s gallery, are very nice examples of how water droplets on flowers can really add interest. Very interesting post. I like a lot photos #1 and 4! Especially the abstract aspect of photo 1. It seems you like to have the sun behind you or with an angle to achieve the type of light you like. I find interesting to do the opposite, have the sun in front of you, set the metering to spot on the flower. 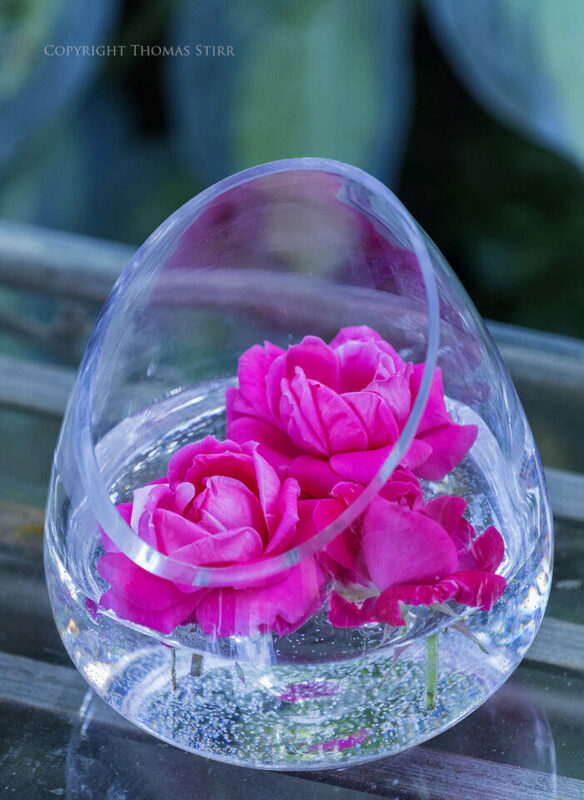 This creates a “space-like” white surrounding while flowers become thin transparent. For certain flower colors, I found this works very nicely, it takes the flowers out of their context and put them into “action”. Did you try this? Do you have recommendations on this type of shot? Also, regarding bokeh, I see you tend to work with DOF so you have all the flower sharp and the rest blurred, not having only part of the flower sharp while the rest is blurred creating movement. When i use very shallow DOF to do this, I find that wind becomes often a problem when shooting outside. It creates small movements to the flowers that mess up focus. Do you have any recommendation here as well other than just patience and good timing? Thanks for your comments and questions…here’s a few details on the two shots you mentioned in your post: 1) Image #1 was shot with a D800, using a Nikkor 70-200 f/4, 200mm, ISO1000, f/11 @ 1/500. 2) Image #4 was shot with a D800, using a Nikkor 70-200 f/4, 190mm, ISO1000, f/8 @ 1/250. I haven’t tried the type of lighting you mention in your posting….sounds interesting though…I’ll have to give it a try and see what happens! When I first enter a garden I really don’t think about particular flowers or plants….choosing instead to have ‘wide eyes’….i.e. I purposely do not focus on any particular plant and allow my eyes to try and take in large sections of the garden. Then I try to pay attention to ‘colour bursts on dark’ within that section of garden. This leads me to specific specimens that I may have missed otherwise. I’ve found it is initially more important to look for the right background (i.e. good distance from the potential subject, with either complimenting colours, or in shade) than the actual subject. If I can get the right subject in good isolation against a dark background I can shoot at f/8 or f/11 with my full frame D800 and get the entire flower in focus. As frustrating as it can often be…sometimes I just can’t get the right combination of subject and background so I don’t bother taking a shot and just move on to the next opportunity in the garden. Sometimes ‘breaking the rules’ and experimenting can be fun too…..for example image #2 was taken with a D800, using 70-200 f/4 with a TC-17E II teleconverter….340mm handheld at 1/125, ISO1000 @ f/22. While the image is far from being ‘pin sharp’ I was able to get most of the poppy head in focus with an acceptable amount of detail. In terms of the challenges when shooting outdoors with a breeze/wind present…..if your camera has good low light performance you can use a faster shutter speed by cranking up your ISO. In situations where you are using a tripod you can look for some kind of wind break to try and isolate your subject from the breeze/wind. In a pinch using something as commonplace as a garbage can lid can shield a subject sufficiently to get the shot. I posted few samples to show you what it looks like, I am not fully happy with the exposure or focus, but it can give you an idea of what I meant. I can see why you really like this type of lighting…it highlights the actual structure of the petals very nicely indeed! What lens do you use to get this perspective? I am not completely satisfied with the photos as focus is not sharp. Achieving perfect focus with this combination is tough, wind was moving the the flowers quite a lot and also unpredictably I needed to focus and re-frame which also messed up focus. I also tried to focus manually but not so successfully, the small viewfinder is not perfect for this, and facing the sun means it can suddenly blind you. I could have moved to 2.2 or 2.8 which would have improved focus, but also impacted the photos look, I wanted to show you the combination of shallow DOF while facing the sun. Both contribute to conpletely isolate the flower, have a small part of it focused (when focus is correct…) and most of the flower out of focus, as if there is a crescendo towards the sharp part, if you see what I mean. Great article! I’ve had success as well using a long lens for isolating flowers, creatures like butterflies, etc. I have one telephoto lens, a Sigma 150-500mm for my Nikon. Because of it’s size I usually use a monopod. The creamy bokeh you can get is amazing with my lens which in particular isolates whatever subject you are focusing on. 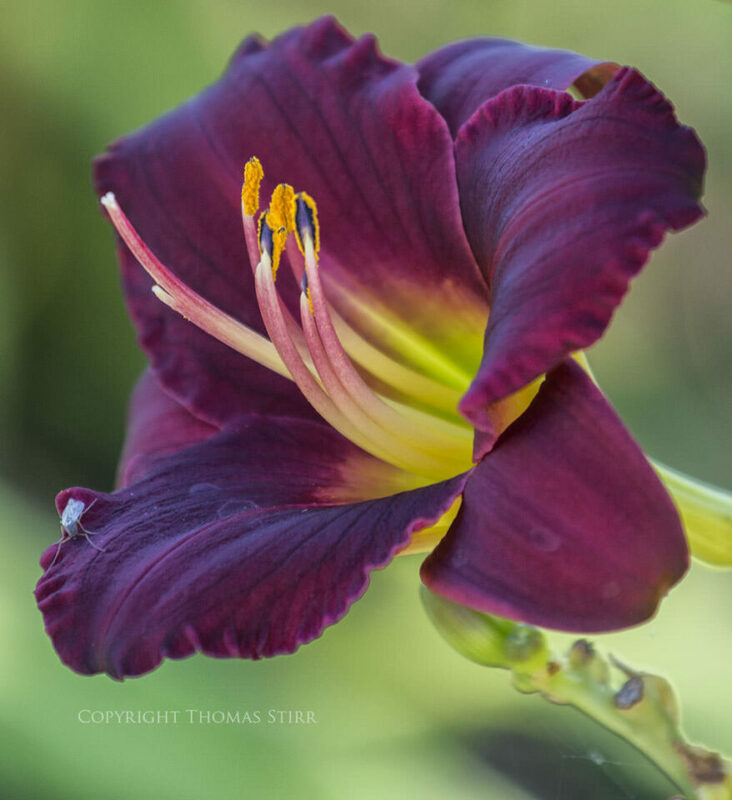 You bring up a very interesting point about using a long telephoto like the Sigma 150-500 for floral photography. Most of us would think of a lens of that focal length as primarily a wildlife or birding lens, but its reach, especially with a crop sensor camera, does give it some other interesting uses as your posting indicates. This raises an excellent point for all of us to not only consider the focal lengths of our lenses, but also their minimum focus distances and magnification….there may be additional shooting flexibility our lenses offer that we’re overlooking. As Ross pointed out in his post, the Nikon 18-140 can focus at 18″ which creates a 1:0.23X magnification. I did a bit of checking and the Sigma 150-500 and the Tamron 150-600 are pretty close at about 1:0.19X. My 70-200 f/4 comes in at 1:0.274….and for any owners of Nikon 1 cameras…the newly introduced 1 Nikon 70-300 is 1:041X. Lovely photographic examples, Thomas. 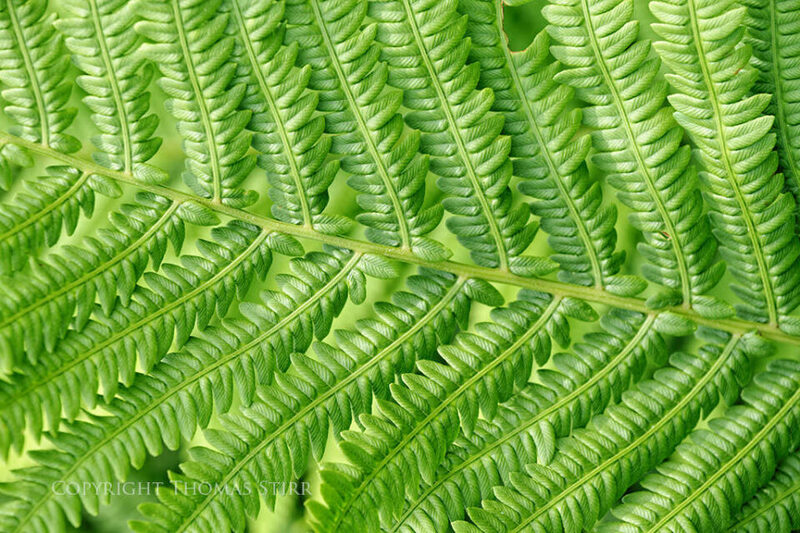 Loved your lead shot of the fern. If I may add, using the longer lens is also a super way to capture butterflies and bees and other garden visitors as you can maintain a nice distance and not frighten them into flitting away. I have used my Nikon 70-300mm for this type of photography for quite a while and have had great luck with it. I treated myself to the 70-200mm f/2.8 not long ago and will be having fun with that lens in the garden this year … looking forward to the wide open aperture and lovely blurry bokeh it should provide! Thanks for sharing the photo of the Monarch butterfly….beautiful! Unfortunately the population of Monarchs that still make their way up to Southern Ontario has declined significantly over the years and we don’t get the chance to see as many of these as we once did. If you are ever in the Niagara Falls Canada area you may find a visit to the Butterfly Conservatory a great experience. They have a very good selection of butterflies. Nice idea Thomas. I do shoot lots of flowers pictures but I use a macro lens (a Nikkor 105mm); I find it very interesting however to get results as your magnificent pics above with a telephoto lens. I’ll give it a try with my 70-300mm for a change (and for the fun of it:-)). I agree with previous comments that this technique is mostly valuable for giving the photographer the opportunity to shoot without a tripod and flash (which I some times don’t feel like carrying around!). Thanks for sharing this info. Thanks for your posting. I also have a Nikkor 105 Micro f/2.8 VR and it is a terrific lens! I’ve used mine with a TC-17E II teleconverter to shoot bees and wasps where getting a bit further away from them is always a good idea! Once my Nikon 1 V3 comes in (I just recently sold my beloved V2) I’m planning on doing a review for Photography Life….and one of the lenses I’m planning to include with the V3 is the Nikkor 105 Micro. Hi, thank for a great article. I have a 135 f2 and I am getting some macro filters. Any comments on using macro filters with flower/plant photography? Unfortunately I don’t have any first hand experience using macro filters….perhaps some readers can share their experiences and provide some tips. I thank you for creating such a clear, informative and creative article. You have helped me a lot. Thank you for your kind words! I’m very pleased you found the article helpful. That’s what the team here at Photography Life strives to provide for our readers. Your post is apropos my current visit to the desert for spring break. I was feeling defeated because there’s many cacti in bloom and I’m without my 105. However, I do have my 70-200 along with a TC 1.4. This article has sparked my interest in seeing what I can get with them. Thomas, your flower photographs are stunning. They’re not just technically correct, but you have an eye for composition which makes them works of art. That’s what separates you from the pack and you are way ahead. Thanks for sharing this post. I enjoyed reading it. Thank you very much for your very generous comments. I can see why you like your 105 so much…your images take the viewer inside a new world. Your ‘tip of the leaf’ image almost looks like it is from outer space with its blend of blue and yellow hues melding together and that small magenta fringed leaf tip barely coming into view. Thanks for sharing your images. Please add some additional ones once you’ve used your 70-200. 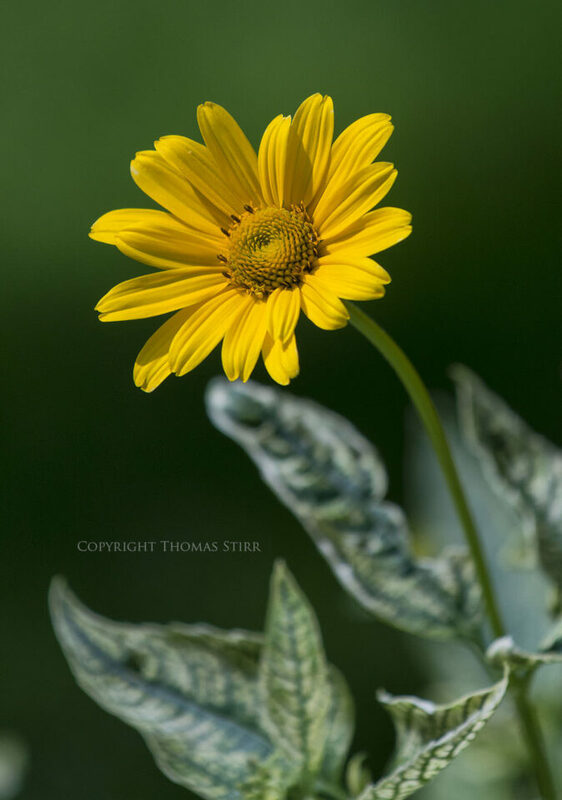 Have also shot flora with my 70-200mm (F/2.8) but recently have been impressed with my Olympus 60mm. Thanks for sharing your images. The fifth image (one open blossom with two closed, bluish coloured foliage) really resonates with me. It has such nice balance and flow…and creates a calm feeling of anticipation. Great stuff. Thanks for sharing the additional images….the third one after the herons utilizes the same lighting technique that Francois was mentioning in his post. It’s always great to see other people’s work as it can spur our individual creativity to try new approaches. Thanks again! Here are a Few Flower Photos. D3000 – 3200, 18-55mm – 55-200mm Lenses I took. All were taken without a Tripod. Thanks for sharing your images. I especially liked the pink peony that was ‘beaten down by rain’. Nice detail on the rain drops and I like the 3D effect of the flower cutting over the leaf. what beautiful flower shots! some of them seem like quite exotic plants – the circle one with the little circular dots inside? Thanks for sharing your selection of orchid images….its easy to see why many people are ‘orchid fanatics’….and your images capture the delicate nature of these blossoms very well. 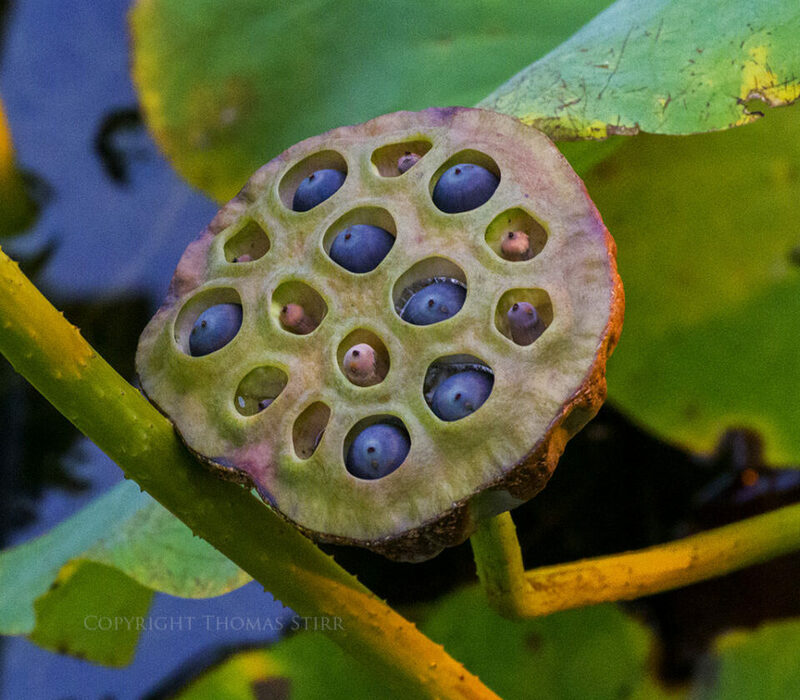 The ‘circular’ plant that you referred to is a lotus seed pod. Nice article. In some cases flash will do very well too (especially inside). As well as DX with 140+. Thanks for sharing your link and images. I like how the flash adds some nice reflections/highlights to the texture of the plants. Really like the composition and balance of the orange flower on the right side of the top row of your collection. Every year we have famous Philadelphia flowers show. Great opportunity to shoot flowers. But pretty much can’t do anything without flash. Too many people to position tripod and not very flattering light around. Very impressive photos. I have a Nikon 70-200 f/2.8, so I will give it a try. Thank you ! Have you have a great time giving your 70-200 f/2.8 a good work-out! Wow! Thank you for sharing your stunning photos. The up close and personal aspect gives us a unique perspective of flowers and plants. The use of a telephoto lens is something that I need to try. I just got a Nikon 5200 as a gift so I’ll need to send some examples at a later date. Thanks for your kind words! The D5200 is a great camera…I’m sure you’ll really enjoy shooting with it….not only for stills but also video. Great post. I love using my telephotos for flower photography. I’ve been itching to get a Nikon 200mm f4 Micro, but it’s pretty specialized and pricey. I hear its amazing though…. 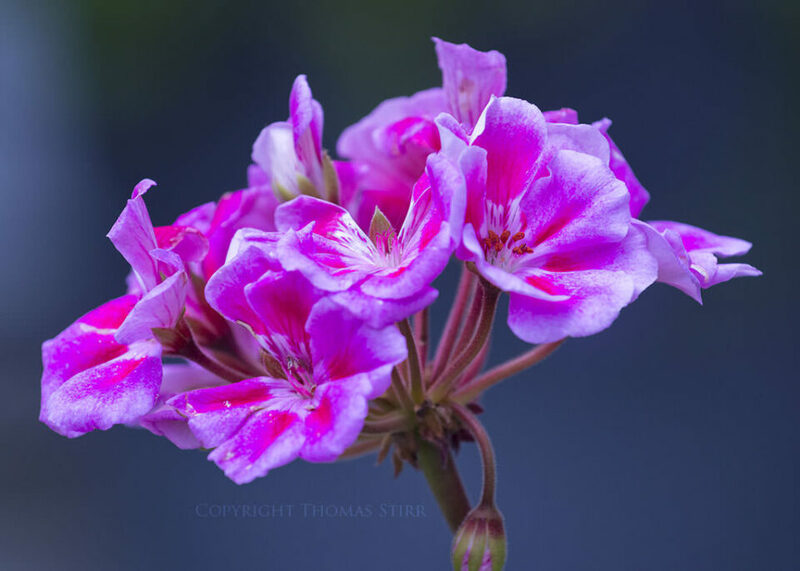 Thanks for sharing your flower gallery….you have a number of very nice images! I love the symmetry of the third image from the left in the first row. Glad you enjoyed the article…and thanks for sharing some of your images! You have quite a nice collection of flower images…and also many other great shots. I especially liked the rural fog scenes. I never really thought of using a telephoto for flowers as I always use my macro lens for flowers, thanks for the suggestion. I’m going to give it a try. If you check out the pictures in Link I provided in my previous post were almost all either shot with a 18-55mm or 55-200mm. The ones using the 55-200 were shot set at about 200mm. I was real close to the flower. I set F-Stop at lowest value to get the shallowest Depth of Field. It’s not necessary to Use a Macro lens. It’s nice to have one, and in the future I may purchase one. Well, first and foremost, your talent is immense, your resulting pictures beautiful, on a high professional level for sure. Now that I got that out of the way, I must take you to task, as a new reader, for not having all EXIF data printed near every pic you take. Some of these pics, to my untrained eye, appear to be focus stacking, which is fine, but should be disclosed. The DOF on certain shots is so great, yet with great bokeh, that it doesn’t appear otherwise possible. I am unfortunately not learning nearly as much as I otherwise could be from your amazing shots without you disclosing your settings. Thank you for an otherwise wonderful site. At the time I took those pictures, I didn’t do any additional Post Processing. I did use LR5 to reduce the size enough to allow posting on the website in link given. And as an amateur I wouldn’t know what focus stacking is. I am a member of Nikonians and had same pictures on their Gallery and it does have the EXIF info. Thank you very much for your comment…very much appreciated. As a point of clarification, none of these images were taken with any kind of focus stacking technique. All were shot outdoors in natural light, hand-held without the use of any tripod or flash. In terms of achieving a combination of DOF and good bokeh in these images, the most important factor is carefully choosing the subject and its relationship to background elements. Selecting subjects that have a good distance between themselves and surrounding foliage is extremely important to achieve this particular ‘look’. Shooting with a full frame camera with a telephoto lens also helps a great deal. Except for 1 image, all of the images in this article were taken with full frame cameras. I used a Nikkor 1.7 teleconverter on my 70-200 f/4 for many of these images and have noted same below for you. All of these images were downsized for web use, so I have also included the sizes of the images to give you an idea of the extent of the crops used. Tom, thank you very much for your speedy and very complete and informative reply. I’m heading to the Bronx Botanical Garden now to try my hand at it. I love your pics and site. Much thanks again. Have a great time at the Bronx Botanical Garden. Let us know how it goes…. Hi Mr Stirr, I love reading all your articles. Excellent presentation, easy to understand technic and approach. I learn a lot from your pages over the time. I would like sharing here some macro shots in my backyards last fall season. Hope to contribute to this excellent macro topic. bit hard to much your quality Thomas, but then I do take a different approach and mainly use the tiny sensor cameras like a Canon G12 or my favourite the Lumix FZ200 to capture ‘stuff’ I see in the Australian bush; and a rather dry part of Australia. And as you have pointed out the longer part of the lens is so good for close-up photography. I also add a Canon D250 achromatic lens to the Lumix. Thanks for the inspiration; something I really need. First my apologies for not responding sooner! It is sometimes very difficult to keep up with comments on some of my older articles. Thanks for sharing your image…very nice indeed!! I love the fine texture and the striking colours against the dark background. Tom, your photos are amazing! Thanks for the positive comment…I’m glad you enjoyed them! I agree, I have found that adding a 10mm extension tube to my 70-200mm has saved me the price of a macro lens. And the bokeh from the longer lens is lovely. Thanks for the article. Other than losing some light extension tubes are very handy indeed! I have a set for my Nikon 1 gear and I find that I use them quite a bit, even for client video work. Nice article. I agree about using telephoto lenses for florals. My current favorite setup is an old isco Gottingen telephone westanar on a Konica Hexanon macro tube. The telephone has a pretty far near final distance, but on the tube it allows for close-ups, but you can still stand a fair distance away from the subject.